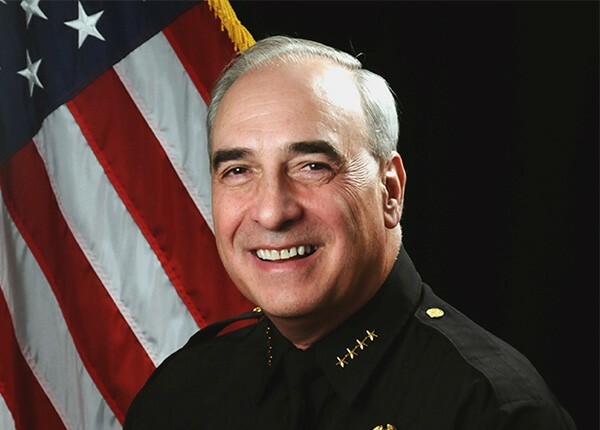 How successful is the new Miami Beach Crime Prevention and Awareness group? Apparently successful enough that a public defender tried to block testimony from one of the group’s members to keep a repeat offender from walking out onto the street with a slap on the wrist. The private Facebook group was spun out of the popular Clean Up Miami Beach group in July. 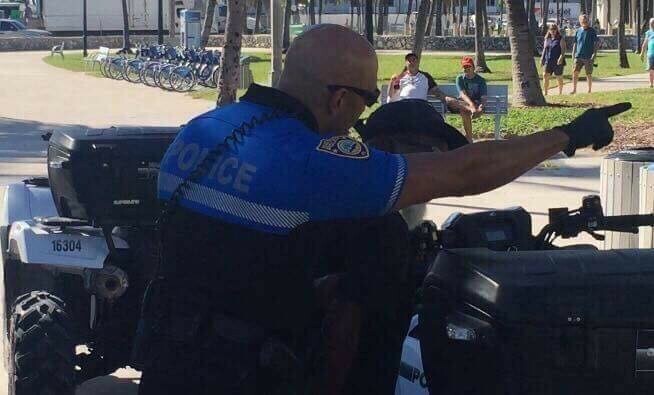 Already, it has gained nearly 1,300 members along with the respect of the Miami Beach Police Department, not to mention some real wins in bond court to prevent habitual criminals from just jumping on a bus to return to the Beach. Which brings us back to the story of the public defender. Donnie Sims, arrested for theft of a Citibike, thanks to the efforts of the crime group, appeared in bond court this weekend. It was Sims 11th arrest in 12 months, his third since an arrest in August which resulted in a conviction for Grand Theft. The public defender didn’t want any members of the group testifying, arguing that since they were neither victims nor witnesses, they had no standing. Judge Mindy Glaser allowed the testimony and Sims was given bond of $10,000, double the normal amount for Grand Theft, and an additional $1,000 for resisting arrest without violence. He went to work using his investigative reporting skills. 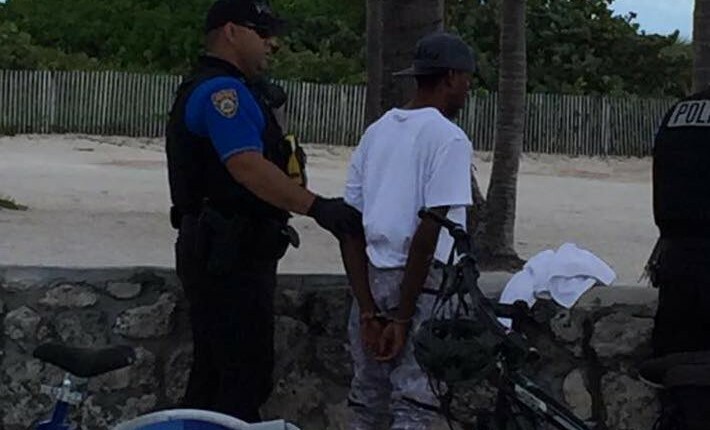 “I was able to determine that the gang of people that were hanging out, particularly around the 21st street bathroom area and 20th street near the beachwalk, they were all criminals.” Initially, he said, his concerns were “dismissed as ‘they’re all a bunch of homeless’ and I proved they were all a bunch of criminals.” While they may be homeless, Deutzman said, the bigger issue is they are committing crimes against residents and tourists and being returned to commit more crimes over and over again. Some have more than one hundred arrests. Deutzman started posting his observations and statistics in the Clean Up Miami Beach group on Facebook. Eventually that group’s founder, Michael DeFilippi, said, “It reached a tipping point to where I said ‘This stuff is awesome, it’s incredible. There’s so much to talk about that it needs its own group.’” So he and Deutzman created the Crime Prevention and Awareness group. It is informative, sometimes gritty, and laser focused on bringing the community together to make change. Informal patrols keep an eye on high crime areas, reporting suspicious activity and the return of any criminals with “stay away” orders. Since mid-September, members of the group have been showing up in bond court where repeat offenders often walk with time served, usually one or two days. So far, the group has a 100% success rate in keeping cases from being pled out or disposed of in bond court, which was probably not lost on the public defender representing Sims. It’s not unusual for cases to be pled out, Deutzman said. “Only about 3% of cases go to trial. The problem is with misdemeanors. They’re being pled out with bond court with credit of time served, two days … The purpose of bond court is to set a bond, determine is this person a danger to the community, a flight risk.” There could be a plea deal later, he said, but bond court isn’t the place to do that. The group demands “recent and lifetime criminal history” of a defendant be considered in bond hearings; in cases where probable cause is found, the group wants those with a high number of arrests held to the standard bond for their charges and have their cases set for trial; and they seek consideration for the “frequent offender’s damage to the community” in all subsequent agreements and sentencing. With regard to sentencing, the group demands “strict adherence and attention to Florida [law] regarding habitual misdemeanor offenders, which requires a minimum sentence of six months imprisonment, or a minimum of six months of rehabilitation for those who qualify” and “strict adherence and attention” to the Florida law “which calls for enhanced sentencing for habitual felony offenders who qualify”. The group writes “We estimate that the number of our habitual offenders who require stiffer sentencing to be sixty (60) people, or less” and with what they say are more than 500 available beds in County jails on any given day, incarcerating these habitual offenders “would not overburden the system”. When the group has testified in bond court, the repeat offenders have all received higher bonds, extra days in jail and, when appropriate, treatment. In addition to the Police Department, City Commissioners and the criminals themselves have taken note.